Davanti Enoteca - San Diego Dining Dish! 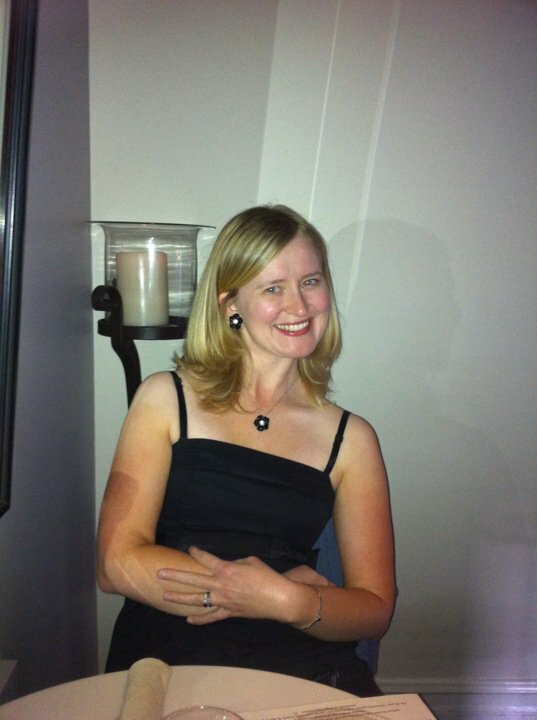 The interior hosts a nice bar area, but in back, there is a glorious patio with shade, perfect for warm weather dining. 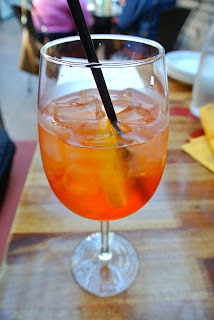 It was very nice to sit on the patio and sip their signature drink, the Aperol spritz. The spritz is composed of Aperol, prosecco sparkling wine, and a bit of soda water. It was quite delicious and refreshing, and the perfect aperatif to get our dinner started. The second appetizer was a seasonal offering -- the roasted corn salad. A fresh concoction of roasted corn, roasted mushrooms, arugula, and goat cheese, this salad was very, very good, and a surprising taste. The sweet corn and tang of the goat cheese was delicious, and I adore roasted mushrooms. This salad was a hit! The final appetizer was the heirloom tomato and watermelon salad. The salad was very simple -- just very fresh sliced heirloom tomatoes, provolone cheese, watermelon slices (hidden under the tomatoes! ), topped with balsamic vinegar and basil strips. This was such a nice fresh bite, and one of their most popular seasonal summer offerings. Next was the main event -- a huge ribeye steak to be shared, served with wilted swiss chard and crispy roasted fingerling potatoes. The steak was cooked to medium and served with a butter and herb sauce. Check out that huge steak! It was quite tender and juicy, and super thick! Definitely a meal to be shared. The potatoes were excellent. I love fingerlings, because the skin is thin enough to leave on and enjoy. They were seasoned with sea salt, and were a perfect texture. Served with one of the many wines from their impeccable list, this steak was such a treat! Dessert was amazing, even though we hardly had room after all of that! The kitchen's favorites: goat cheese cheesecake, topped with caramel and toffee pieces, and a thick, dense chocolate cream pie. The cheesecake was dense, and it was quite creamy and rich. Served with the caramel, it was quite good, although not something I'd eat often. The chocolate pie was quite dense as well, with lots of rich, bitter chocolate flavor. 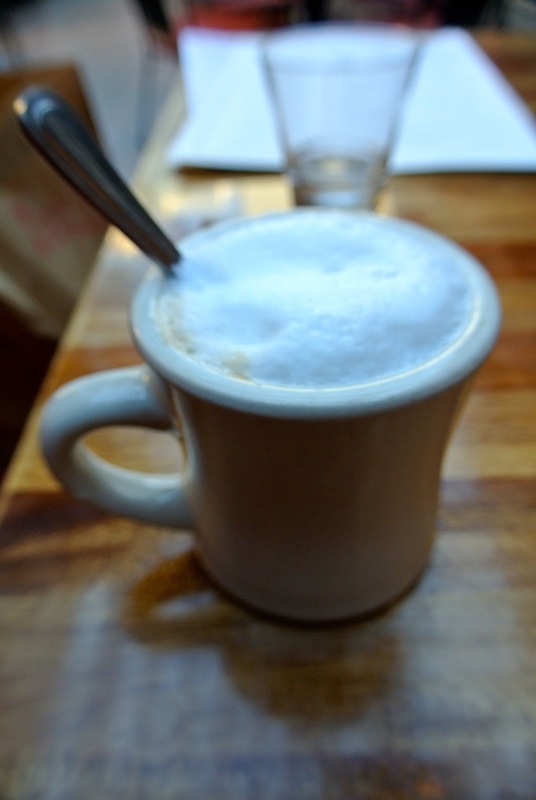 A cappuccino and a small glass of chocolate limoncello finished our meal. 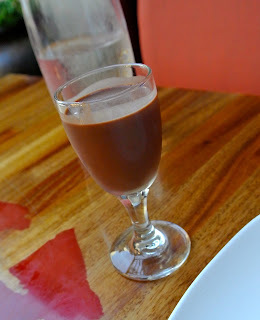 I've never had chocolate limoncello, but it was an interesting take, and perfect for anyone that loves chocolate. Definitely will be going back!